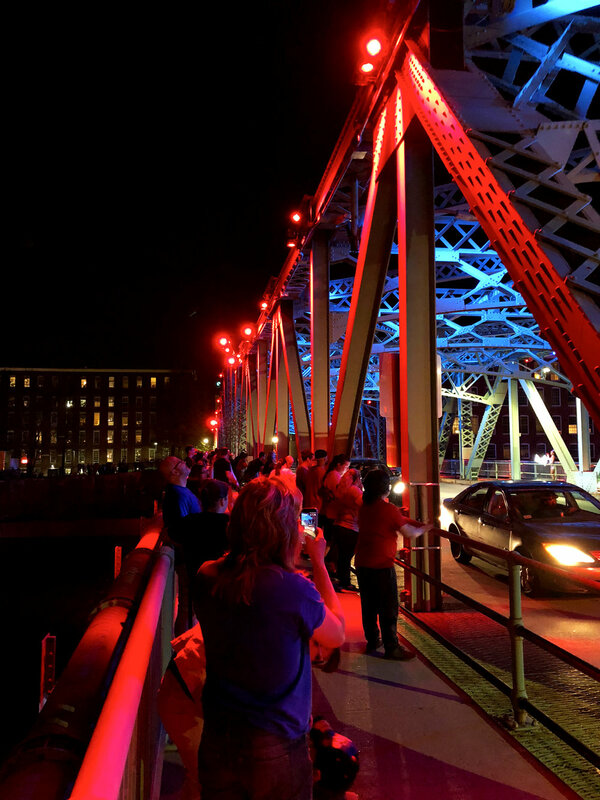 The city of Lowell came out to celebrate the opening of the newly illuminated Cox Bridge. Lighting design by Landing Studio. Read more here.